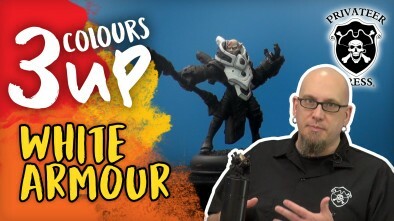 Join Dallas from Privateer Press where he will show us the professional ways to paint that ever intimidating white coat. Have you found white to be a difficult process, maybe it's too bright, perhaps it's too dark or a shade of something you're not even sure of... With a few simple rules of layering your paints it's easy to get that beautiful white tone on any kind of model. 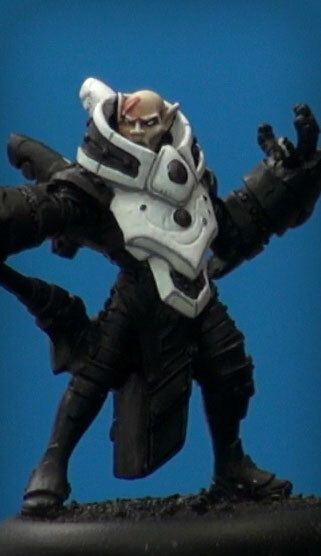 What's your preferred technique for painting white? thanks Dallas. invaluable advice for the ever tricky white. 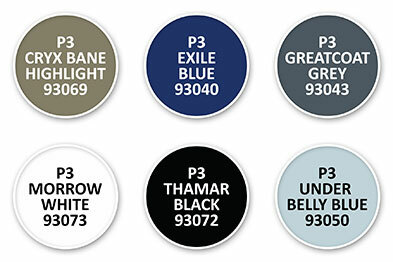 love that exile blue for shading, such a rich and versatile colour. it’s a real bag of tricks and now I have one more trick in the bag. after thought. I’ve been watching a bit of STAR WARS Rebels recently and was looking at how they had done the Stormtrooper armour. they use a yellow to give it a high reflective shine on the top highlight. is there a way of pulling that off? I fear if I tried it might just look like yellow dots. Always fun to see how other people do things, and some nice tips here to tackle a color I often shy away from. Thanks!